Though I would rather not do so, I need to talk a little bit about my life and this blog to clarify some things. The most obvious change over the last year or so is that I’m not here as much as I used to be and I’ll address that first. Like most of you, I’m too busy for my own good, so I have to prioritize what I do. I work full time Tuesday through Saturday managing a retail outlet . I am still privileged to teach a wonderful group of brethren every Sunday night and thus I have message preparation that needs to take place the week before. I am a dad, helping to raise a very active, very complex ten year old boy. I’ve made a lot of friends here over the years and I do some online and offline counseling as time allows. I also take part in this blog and I am responsible for it…though I’m insanely thankful for those who come alongside to help. That doesn’t leave much time for things like, well, sleeping. The complication that has arisen over the last couple years is that I’m trying to do all this while wrestling with some health issues. I have COPD…and I’m still recovering from the surgery in October where I lost part of my right lung. The bottom line is that I don’t have the energy and resilience that I used to have and doing what I do takes more time and effort these days. This work is the last on my priority list and I think you’d all agree that that would be the biblical priority. That doesn’t mean I don’t love it and care deeply about it…it just means that I have to care for other things first. I don’t have either the time, energy, or interest to constantly keep Christian adults from fighting with each other. It also means that I need those who participate here to care for the content and community while myself and my co-workers are busy. If we are to keep this going we need to learn to co-exist with people who we may have differences with…or even be offended by. We need to understand that there is very little positive that comes from constant repetition of pet points and offenses and even less from constant picking at each other. This has been a unique and valuable place on the internet for a long time now…and it’s my hope that we can continue to be both in the coming years. I need your help to make it happen. In a followup post I’ll talk a bit about content and how and why things have changed over the years. I apologize for not being around much. I got really mad at this place for a while. I resolved to quit everything. I have a job now that has a very steep learning curve. I have been moved into taking care of some high profile clients. Cisco of Colorado being one, and I have about 40 hours of pending work there right now, at a building that is a minimum hour drive when traffic is good. I also have a number of huge office buildings that are in desperate need of work. Hospira, Merck, NetApp, NIST, and the list is building. I am only a year and a half into HVACR, but the drive to know everything about my profession has unfortunately dropped me in some very stressful work. Care taking massive server rooms, where the temperatures can not drop below 69 degrees or death of critical equipment trafficking billions of dollars of transactions. Chemical processing rooms and labs that require so many air changes per hour at a constant static pressure. Some of those labs require temps within one degree of set point, or alarms start going off, and I am flying down the road to another emergency. I made the choice some time ago to be about the care and security of my family first. At this time, it means making money. Now I have a church looking to me to accept nominations to be a lay leader. My interest in this is about at absolute zero. I am so done with ministry. Frankly, I am just about done with church. But because I open my mouth at a church meeting… I even tried to talk people out of the nominations, and it only enforced the desire to have me on board. I started the 39 articles again, and the second week in made me face-palm for days. Still face-palming today. One of the reasons I started the 39 is shot all to hell. So I ask myself why I am doing it. I revert back to the good reasons. Yet, this weeks article will cause such vitriol that I doubt I will be interested in blogging anymore, again. I am a heretic. I have a big job that keeps me awake. Nobody is interested in unity in the Body of Christ. Since that is the one string on my banjo, I pluck it in vain. I have a stack of paperwork to do right now. I have to do it. It has nothing to do with Jesus, nothing to do with blogs. nothing to do with family, but Cisco has to know what I have been doing in their server room for the last 24 working hours, and how much money they owe my employers, and why I have to spend another 16 hours there fixing another giant problem. Honestly, I don’t get what it is you expect from people when you post those threads. Are you thinking everyone will agree with every point? Honest question. I see many people involved in every one of those. Unity isn’t something you are going to see on a blog. It just isn’t designed for that. Why we have gone to thinking this blog is about “debate” instead of discussion is beyond me. I’ve seen that term mentioned many many times lately. Maybe we just need to remember that the “guidelines” for discussion are different than the “rules” of debate. That might help at least a bit. From what you’ve said, I hope you say no to the church request. Honestly, it sounds like you’re leading the equivalent of more than one life. I believe as you said, that your first priority is to your family. If that means focusing on your vocation, then so be it. Doesn’t make you less spiritual. Take a break from church, unless everyone there fully understands the bigger picture. London, fair question. And maybe it answers mine as well. I posted them in hopes that we could all find common ground. Nobody is looking for common ground. Some are more willing to defend the reasons why they lock others out rather than accepting them as family. So I really don’t know why I thought that would work. I think those articles have great value. Whenever we can expose each other to different traditions and ways of thinking about our doctrinal differences we have accomplished something. Unity is an eschatological reality, not a present blessing…but we are working our way toward home. Thanks for the years of patience as I continue to work through my faith journey. You totally have given me grace, contributed to helping me develop a nicer online persona, and challenged me to functional tolerance. Self regulation has been the greatest skill I have begun to learn and our fellow bloggers have been gracious as well. No apologies needed for your blog and how you conduct yourself or the articles and topics you put up. It’s up to each of us to post as gentlemen (the ladies are rarely the offenders). Even when tempted to go off about my pet peeves I realize that if the recent posts module show a string of 4 guitars, that’s my personal cue to dial back, encourage dialog and leave some space so others don’t think that all they are going to read is my posts. Do what you must to have an awesome life, cherishing and guiding Trey, getting healthy. Had a post, it disappeared. Maybe it will show up. Bottom line, Michael, it’s your blog, do what ya wants ta do. Thanks for the response Reuben. I agree with Michael, it’s important to be able to learn about other traditions. If people look at them as discussion points instead of debate topics, I think you’ll find the threads not so explosive. Don’t get too hung up on the unity thing. That is true in part. For the last few years I’ve viewed it more as managing a public trust, a place that belonged to all those who invested heart and thought here. On to new and more beautiful days, as much as I can be part of that, thanks in advance. The Daily Beast article is stunning. Well written, glad that it’s visible for a warning to people. No need to forgive anything, dear sister…you have given so much to all of us online and off. I’m just grateful to call you friend. I am somewhat in the same situation as nomans. Still trying to find exactly where to pop in and contribute, and usually that is on the prayer thread. As is the case with most of us, it is hit-or-miss when I can be on, so it is difficult these days to contribute to ongoing discussions. Michael, you’re priorities are in alignment, IMO. I miss seeing you around more often, but I get it. Sarah, Nomans, Reuben, BrianD, you all do a great job. I will probably be posting less, but reviewing what I say more carefully. I don’t expect some problems will go away, but I will try not to be part of it. Just out of curiosity, can I find Michael’s auto/biography somewhere? I’m curious where he’s coming from and the story behind this blog? I kinda stumbled onto it one day, having no idea what I was reading. 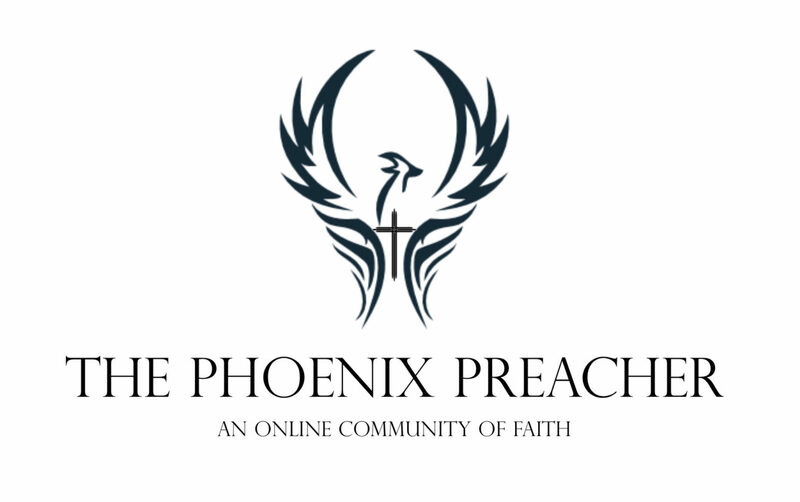 Phoenix Preacher? There must be a story behind that name…. It’s scary how the unsaved “get it” and so many seasoned veterans don’t. I started this in 2003 and for many years reported on one scandal after another, primarily in Calvary Chapel. I had been kicked out of the movement for questioning the integrity and morality of my pastor and when we wrote about it lots of people responded with similar stories. We also wrote extensively (and dogmatically) on theology and such. The blog has been through about five editions…I get burned out and take time off and come back older and hopefully wiser. I’ve taken it to a broader place in later years, often a more personal place as I hope that sharing my struggles openly helps others to be honest about theirs. Michael: I remain forever grateful for the part PP and you have had on my journey. I follow the blog mostly via my email to help keep my blood pressure down and my serenity up 🙂 Blessings always to you & Trey. This blog has been my constant companion through three or four major paradigm shifts I’ve journeyed through. For that, “Thank You” is insufficient but all I’ve to offer at this moment. Thanks, Michael.